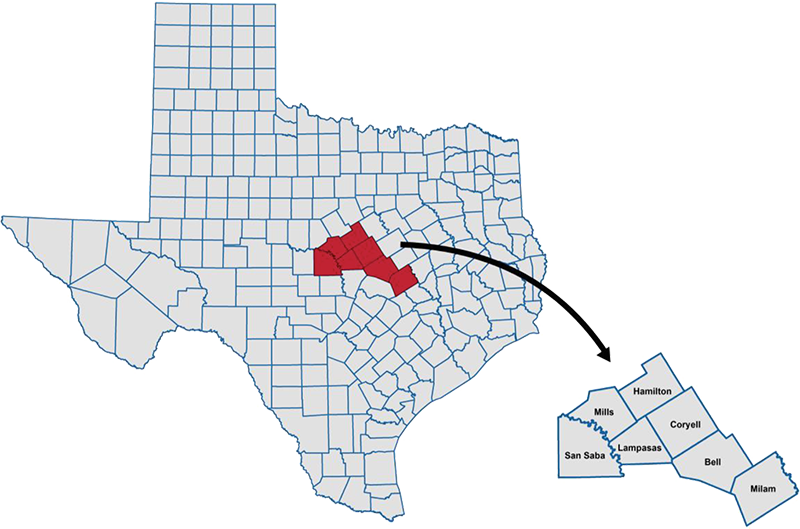 The Development District of Central Texas was incorporated in the State of Texas as a non-profit corporation on June 24, 2002. The District provides economic development assistance to the counties of Bell, Coryell, Hamilton, Milam, San Saba, Mills, and Lampasas. A Board of Directors made up of representatives from local governments, chambers of commerce, businesses, economic development organizations and the private sector govern the corporation. Get insight into the regional economy, partners, demographics, maps and other data that makes Central Texas strategically valuable for growth! Click image below to view CTCOG Community Profiles! community character and quality of life in Central Texas.